Our homes can be a sanctuary, and being able to take that sanctuary with us as a traveler can be a gift from the adventure gods. Motorhomes and RVs can be a wonderful investment for glampers (campers who well, enjoy camping just minus the dirt), for those who want to save a little on lodging but maybe most importantly they are a great investment for travel addicts the world over. Motorhomes are also often a popular traveling vehicle, especially with families and older couples. Unlike other vehicles, your RV or motorhome nearly combines your car and your home into one, which is why there is a separate category for RV insurance entirely. With an RV or motorhome, you need things covered in your insurance that wouldn’t generally be covered on just a car, and you need things covered that aren’t generally covered on a home. Thankfully, insurance companies know this and have stepped up the game in insuring the fine points of your car + home. RV Insurance covers anything from a motorhome to camper vans or even bus conversions and is organized in classes (A, B, or C). Unlike car insurance, RV insurance depends upon the class, whether you live in it full time, how much you use it, and more. Generally, RV insurance will include collision, comprehensive and liability coverage just as auto insurance does. On top of this, you can add on protection for any personal items on board and attached accessories and equipment (awnings, satellite dishes, etc.). Other additional coverage can include emergency expenses, towing and roadside coverage, campsite and vacation coverage, total loss replacement, uninsured and underinsured motorist coverage, and full-time coverage — this is if your motorhome is your full time residence. Similar to auto insurance, RV insurance will protect you from out-of-pocket costs in the event of an accident. 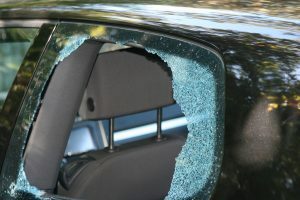 It can also provide protection in the event of natural damage — such as an animal or hail storm — or if your RV is stolen. Also like auto insurance, if you invest in uninsured/underinsured coverage, if a driver crashes into you but isn’t insured or their insurance won’t cover all expenses your insurance company with pay for the damages. This is the same for liability coverage. Similar to comprehensive insurance with an automobile or home, if you get comprehensive coverage for your recreational vehicle, this will provide coverage for any losses due to animal damage or theft. The campsite and vacation coverage can provide coverage for lodging expenses if your motorhome is damaged while traveling and you need a place to stay. It is important to cover all situations and possibilities with your insurance company so that you are aware of any instances where you aren’t covered where you thought were. RV insurance policies will vary just as homeowner’s insurance or auto insurance. Generally speaking, a Class A policy may cost around $2,000 a year. This if for a luxury or motor coach, or even a converted bus. These Class A vehicles can be up to 75 feet long and generally the most expensive coverage. For a Class B vehicle, the policy can be almost half of this ranging from $1,000 to $2,000. But again, this depends upon the coverage, additional protection and so many more factors (just like auto insurance how well you drive can even affect your policy). Some places will even allow you to suspend your insurance coverage during the months you may not be using your motorhome. The best way to gauge just how much you will be spending on RV insurance a year is to get a good comparison quote and do your research. Again, like auto insurance, there are state requirements for RV insurances so be sure to check there first. After the requirements it will depend on what class of vehicle you have, if it is leased or financed, and how often you use it. If you only use your vehicle for half of the year, it would be wise to get an auto insurance quote comparison between companies that offer the possibility to suspend the coverage during the other half of the year. If you own a larger recreational vehicle, you may want to get a larger policy as your vehicle could cause some very high damages to other vehicles. As with any insurance policy, be sure to take the time to do some research and use a good auto insurance quote comparison tool to make sure you’re spending the right amount for the right amount of coverage. To the untrained eye or when discussing motorhomes with friends one might not always know of or understand the differences in RV classes. 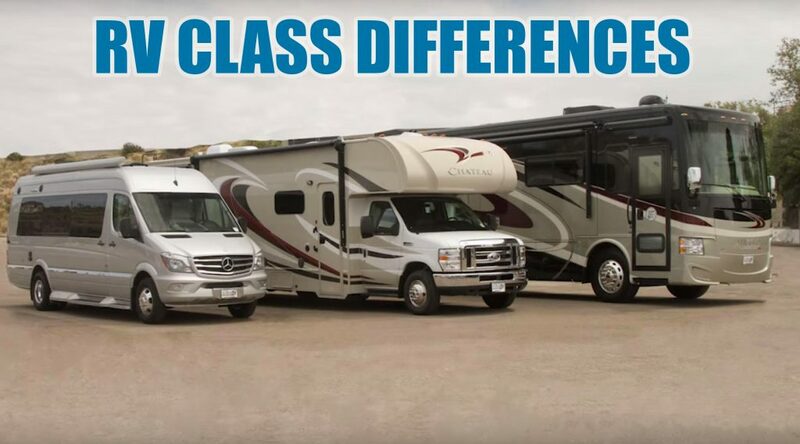 There are three classes of motorhomes, and through this article we will teach the reader how to easily spot the differences and provide a detailed list as to how to select the right RV for your needs. The first step to making your selection is to understand the differences between the three classes. The first thing to know about class A motorhomes is that they are ideal for large families and individuals who intend to use their motorhome as a primary home (i.e. for sleeping and working). Due to their large size and target audience, class A motorhomes are the most expensive class on the market. They are usually between 20% – 50% more expensive than a class B or C motorhome. Class A motorhomes are large, usually starting around 24 feet in length, and tend to stick to a rectangular shape. These vehicles come equipped with a large bed space, a living space, and a hefty amount of storage. Because of this convenient and expansive design, RVers can enjoy productive and comfortable working while in the vehicle. Class A motorhomes also sit the highest on the road, come standard with tall and extended windows, and offer a beautiful panoramic view of the scenery when driving through the mountains. Also, if you are around 6 feet or taller, the A class motorhomes will be your only shot of not hitting your head daily on the doorways or ceiling. The A class motorhome is a great option for families or individuals who plan to spend an extended time in their vehicle or who enjoy the added luxury. What drives most consumers to purchasing a Class B motorhomes is the affordable gas mileage. In most cases, the class B RV will have the best gas mileage compared to both a class A and class B RV. The main drawback to the gas mileage is the overall size of the class B motorhome. A class B RV is the most compact of the three designs, often resembling that of a full sized van with a slightly raised ceiling. Most people say that these are just large vans, and they would be correct considering the majority of class B motorhome manufacturers use prefabricated van chassis. This means that they will be slightly longer than a standard full sized van, but still built off of the same frame. Their compact design offers minimal space for the luxuries associated with the class A vehicles. Another overlooked benefit of a class B is the rear towing hitch, which can be used to haul trailers, boats, or vehicles. The class B motorhome is an excellent starting RV due to the similarity to a standard car or full sized van. Passengers ride in the back, and the RV comes equipped with standard safety belts, turn signals, high beams, radio, and other standard features found in cars. If you are looking for a start RV and are looking to accommodate 3-4 people maximum, then a class B RV may be a great starting point. A class C RV is a good stepping stone between a Class B and C motorhomes. The main feature of a class C motorhome is the sleeping area located directly over the driver cockpit. These are slightly larger than class B RVs in terms of height as well as length offering a middleground between a class A and a standard car. This is by far the top selling motorhome class, offering a balance between storage space, living area, and other luxuries such as a bathroom and shower space and capacity. Most RV manufacturers offer multiple interior layouts offering the buyer a choice between larger living space, sleeping space, and bathroom / shower space. A major drawback to the class C motorhome is the fuel economy that comes with the added size and luxury options. These use a larger chassis than a full size van and a larger motor as well. These are also a smiilar height as a class A motorhome, but usually 30% shorter in length. For this reason, many campgrounds prefer a class C due to the more economical space it takes up on a camping ground, however you may find it difficult to fit into a standard garage. The most important decision to make before purchasing a motorhome is to understand what your desired uses are. From there ask yourself how many people you will be transporting and what type of luxuries are required. Finally, will this fit at the final destination. Proper organization and storage can turn a cluttered and stuffed RV into a well cared for and prestigious camping vehicle, and to be honest following these six steps can truly change your RV experience. We all know that the biggest challenge on a cross country RV tour is finding the room for everything you think you may need. And this problem boils down to the simple task of organization. Because of the limited space in an RV, it’s far too easy for clutter to become overwhelming. Continue reading to see how you can carry all the stuff you want in your existing RV through organizational skills. The first step to solving a problem, is to recognize that there is one! 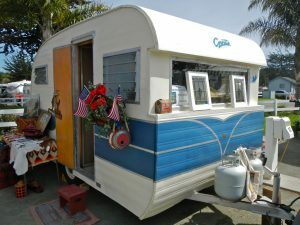 Take the time and make a list of all the items that you currently have in your RV and write down everything. If necessary break it down into a list of things that work and things that could use repair. This will help define what is important or if you are transporting duplicates. As you continue to make your way through all of your RVing stuff, make a note of all the stuff that you haven’t used on the last 2-3 trips. If you really don’t need it, now’s the time to take it out. Ask yourself some tough questions like: Do you need all of these clothes? Do you need all of the plates, cups, and silverware? When’s the last time you read through some of the books or magazines in the back? A good rule of thumb is, if you haven’t used it in the last 12 months, put it in storage somewhere else. 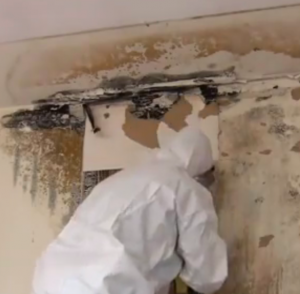 It may be a good idea to do a thorough clean before summer and before winter. In most cases there are specific items for each season that may be just taking up space. If you ever look at clutter, you’ll notice that it’s never a large item like a stove, microwave, or refrigerator that is taking up space and causing clutter. In most cases, it’s the small items lying around. This could range from, clothing, books, plates and bowls, fishing gear, extra shoes, or other nick nacks. These items should be accounted for on the list you should have just made, and be categorized into its own storage space. Remember the 12 month rule. If you haven’t used it in the last 12 months, find a new spot for it! Create a spot for specific categories of items, like entertainment, outdoor gear, loose change and keys, etc. The bathroom is notorious for have a large number of small sized items. Get a small bathroom organizer to keep track of soap, shampoo, shaving, and other bathroom accessories. This will keep all of the critical bathroom items in one easy to use location. The other option is to get an organizer that hangs on the wall or the back of the bathroom door. These items allow for personal items, toiletries, and other specific items to be compartmentalized and easy to access. Kitchens are always prone to clutter because it is one of the most used rooms in the RV. Items in use range from cooking utensils, to food, and even cleaning supplies. The real challenge is to find ways to store and match different types of storage ideas. In our RV we have a magnetic rack to hold many of the cooking utensils as well as a cabinet to store cups, plates, and other sharp objects. Then the space underneath the sink is perfect for a small trash bag as well as other cleaning supplies. If you’re struggling to group items into categories and store them away, try buying multiple smaller storage bins with multiple drawers. These drawers and shelves provide excellent organization in a compact space. You can even go as far as labeling them so you know that you will always go back and place the same items in the same spot. These can be used to store clothing, utensils, food, tools, and emergency equipment. Bottom line, storage bins are an excellent way to stay organized. If you’re really tight on space to using foldable items. These can be packed up and stored when not in use. Foldable items can refer to tables, chairs, beds, and even bags or backpacks. Every dog owner knows that as soon as you start your car or RV the dog knows and wants to be apart of the trip. In my experience, as soon as we start packing a cooler for a road trip or excursion our dog will go outside or sit in the RV so he won’t be left behind. He will sit in the passenger seat until we are done packing and ready to go. He knows we’re going on a trip and as a member of our family he needs to be with us. Our black lab / golden retriever mix loves camping, the woods, the plains, all the outdoors, and above that he loves getting away from our same-old-same-old suburban fenced in backyard. And come to think of it, it’s important for my wife and I too to get away from the daily grind at least once a month when the weather is permitting. These small escapes are what keeps our sanity in check and our spirits high! What Do I Need to do to Bring My Dog RVing? But flashing back to when we first adopted our little puppy it took awhile for him to understand the purpose of our road trip vacations. He loves fresh air and the great outdoors, so staying in an RV while we drive for 8 hours was something that took getting used to. When we’d hop into our first RV for our annual three week cross country road trip, our poor puppy couldn’t grasp why we’d always want to be in the vehicle or confined to a leash at different RV parks. He wanted to run around and smell the smells of the wild nature. As we move closer to today, my wife and I started looking for ways to keep our annual trip and our dog happy both getting to and at our final destinations. The goal was, and still is, to ensure our dog is safe, comfortable, entertained, and to keep our annual trip going. As we grew accustomed to stopping at more open and dog friendly stops, and as our puppy learned to adjust, he grew into the dog that won’t leave the RV if he sees us packing. He comes to enjoy both the RV excursion and the visits to various parks and RV parks throughout the Midwest. So without further adieu, here are some of the most useful tips that my wife and I developed over the years to improve the RV experience (drive and destinations) for us and our dog. After much whining, confusion, and maybe a puppy accident, we decided that using a kennel during our rides was one of the main stressors our dog was feeling. Instead we purchased a cheap baby gate that we set up so he can’t get into the driver cabin. This allows him to roam around the back and even sit on his favorite blanket, or even stick his head out the window to smells the smells. We know that there is an element of safety to be considered here and that animals are most likely to avoid injury if they are placed safely in a harness. So if you decide to take a more cautious approach, we certainly understand. But looking at what makes our dog happy we decided it was the right thing to do. This is something each owner should consider individually and make the decision right for them and their pet. During our three week annual excursion, we were never in a tremendous hurry after we got on the roads, so we’d do everyone a favor and allow for frequent stops for our dog to run around and take a “potty” break. In our case Sam gets restless after sitting for 4-5 hours and will start whining. So we plan accordingly to stop at rest areas with a nice lawn. We typically use google satellite view on rest areas when planning to make sure that there is enough space for him to walk around for a while. At a glance this might seem obvious, but we found that it is what helps the most. By brining elements that our puppy is used to on long trips makes him feel more at home and less out of his safe zone. Therefore, our packing list always includes his favorite blanket, chew toys, and even a tug-o-war rope. For everyone’s best interest, we bring our puppy’s dog bed to sleep or otherwise lay down. While this won’t keep him from sticking his head out the window, it will provide a familiar setting for him to get comfortable and relax. Another bright idea would be to bring blankets to cover the RV furniture. This can keep the dog hair to a minimum and cleaning easy. Do your homework up front when selecting an RV park. Check out the google map satellite view of any potential RV parks you are considering. 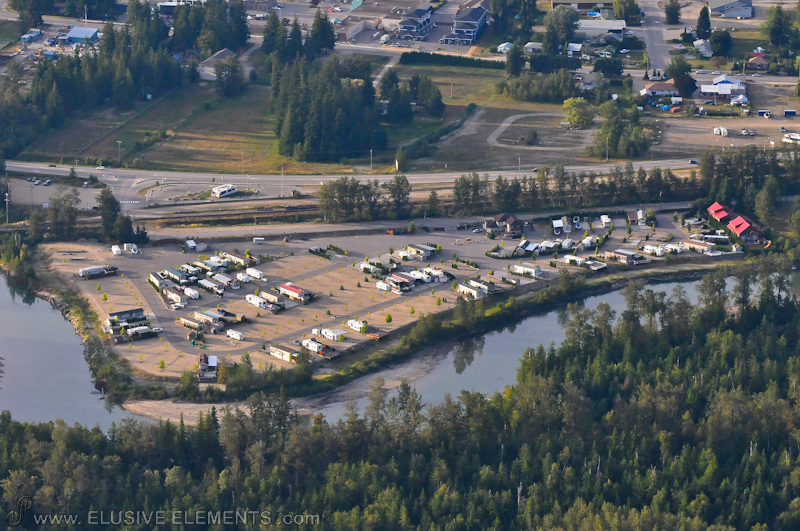 This can give you an idea of the size of the RV spots, the common area, and any extra space for your dog to roam free. Most parks have a leash policy, so be sure to reach out to them or find out what that is in advanced. One of our readers, Jason, asked us to compile a list of some of our favorite RV resorts in Michigan, and because I spent about 3 years living in Michigan, I am happy to help one of our readers out. 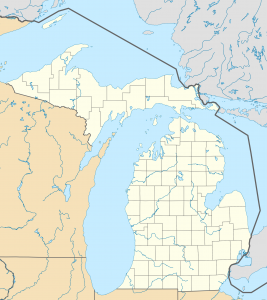 So during my stint as a general contractor, I was working in various parts of Michigan, where I frequently traveled between Hopkins, Manistee, and Mount Pleasant. All of these places had a gorgeous RV park, where I stayed and worked. While I was at each of them I rated them based upon how well the restrooms and showers were, the overall facility and surrounding area, and lastly, a fudge factor I call appeal. The appeal factor is more of less how apt I am to visit the parks again. So keep reading to see how these parks stand up against each other. While I was working there, the bathrooms and shower facilities were absolutely stunning. They all had automatic soap dispensers for both body-wash as well as shampoo. Throughout their 67 RV campsites, there were common areas every quarter mile where other campers would have pick-nicks, small fires, and snacks. The community is fantastic and always changing because it is a very popular vacation resort as well. They boats swimming pools and hot tubs for their guests. I only had a brief stay in Hopkins, and that is perhaps why this park is ranking second, because I haven’t had the emotional attachment like I did in Mount Pleasant. This park is as gorgeous as anyother place in Michigan. I came to this area to do some window repair work, and never had the opportunity to enjoy their heated pool, but I hear it is wonderful. I have however; played basketball at their private courts and at night I would enjoy the beautiful lake view. Little River, is by far my favorite campground to visit, because on occasion I enjoy a bit of gambling. So this RV resort outside of a reservation is a great place to enjoy some low stakes games and a wonderful dinner. I will say that the restrooms when I was there were out of toilet paper and I had to bring my own. Aside from that this is both an RV resort as well as a hotel/casino. If you are looking for a RV resort which has wonderful restaurants and a nightlife, this is for you. However, I often find that the most serene campgrounds are the ones which have the attractions outdoors, for its guests to explore and adventure. Nevertheless, this is a beautiful resort which I highly recommend. Consumers often heavily anticipate the ability to travel and see as many different places as possible in their efforts. Many people find that driving is one of the most effective means of being able to see as many of the sites available in their particular points of interest which is usually faced with specific planning and decision making efforts. By looking at the accompanying 11 angles, you have an excellent shot of picking RV parks or campgrounds that will fulfill the necessities of you and your family for the length of your visit. A portion of the principal things to consider are the prerequisites for your RV. You will require a campground that has locales sufficiently substantial to suit the measure of your apparatus. Additionally, on the off chance that you require a 50-amp shore control association, remember that it is not accessible at all parks. In spite of the fact that you might have the capacity to get by on less for a night or two, would you truly like to run out and reset the breaker each time it gets stumbled day and night? Next, consider the necessities of your gathering. Is it accurate to say that you are going with youngsters or pets? For kids, play areas and another child well-disposed entertainment territories are attractive. Likewise, parks have different directions concerning pets. Some have breed, size, or amount limits. Others charge additional for your textured companions. It is additionally essential to know whether the recreation center has a pet walk or off-rope territory to protect your pet glad and. At long last, what pleasantries do you seek? On the off chance that you don’t have a satellite dish, digital TV may be decent. For a few, Wi-Fi is a flat out need. Do you require clothing offices, a group building, or a warmed pool? These are everything to consider while picking RV parks. When you have your list of things to get characterized, take a gander at your accounts. Figure out what you will spending plan for the cost of the campground. If you intended to participate in exercises primarily at the recreation center, you might need to pay more for the additional comforts. Assuming, be that as it may, you intend to take a few day outings to the encompassing territories, you will need to factor those into the general cost. It might be prudent to analyze the enhancements of every campground in the range. At that point, pick the one that offers the most at the least cost. Consider area. If you expect to invest the majority of your energy at the RV stop, you likely need the peace and very offered from a satisfying stylish found in characteristic surroundings far from society. Then again, if going to different locales, shopping, or eating out are on your schedule, you may need a recreation center nearer to those destinations, or a close-by city or town. The more noteworthy the separation to the closest foodstuffs or other the provisions, the additional time and fuel you will consume to acquire them. You can decide a considerable measure about a campground from its site. To this day, having a far reaching site is ordinary and a normal for an effective business. Not exclusively does it furnish potential customers with important data, it advertisers inadvertently, perhaps the measure of consideration the campground proprietors or supervisors provide for the recreation center. The line of thought is that if the recreation center focuses on points of interest on their site, they will probably give careful consideration to different parts of their visitor’s encounter. While considering remaining in a state stop, there are advantages and restrictions. For a normally wonderful condition, you frequently can’t show improvement over a state or national stop. They are additionally typically sensibly evaluated, once in a while offering exercises like climbing, boating, or horseback riding. Those are the advantages. The restrictions incorporate the area and enhancements. State parks are frequently found far from stores or towns. They once in a while offer conveniences like Wi-Fi or link, and numerous don’t have water or sewer snare ups at singular locales. Besides, most confine visits to two-week time frames. To take in more about state parks look at a site, for example, Americas State Parks. If all else fails, check client surveys. Many locate these instrumental in picking a campground, and also an eatery, handyman, technician, or some other administration. There are a few techniques for checking audits and evaluations. Aides like Trailer Life and Woodalls are printed yearly and can be found at neighborhood libraries or available to be purchased at book shops. These alternatives rapidly end up plainly outdated and regularly appear to support campgrounds that take into account clubs like Good Sam. For online surveys look at locales like RV Park Reviews, Compendium, AllStays, Tripadvisor, and Yelp. They give client surveys and appraisals and also a rundown of enhancements and other apropos data about the recreation center. These are additionally more inclined to stay a la mode. Many individuals require solid remote Internet while at an RV stop. Regardless of whether it is for working from home, exploring the territory and climate conditions, or entertainment purposes, a frail, moderate, or no flag can be more than a burden. Other helpful administrations incorporate having an on location store with basic supplies, propane, and kindling available to be purchased. Parks with an occupant RV repairman can be a simple approach to have a touch of work managed without leaving your apparatus in the shop. For full-clocks or even most-clocks, being able to get individual mail is a need. Individuals who move around consistently frequently do a great deal of internet shopping to guarantee they approach similar organizations paying little heed to where they are. Regardless of the possibility that you have a private address when you are away for quite a long time or months on end, it is important to have your email sent to your transitory area. P.O. boxes regularly require a 6-month duty and can be expensive, so picking RV stops that get mail for their visitors is genuinely need. Picking RV stops that fit your social inclinations can make your stay charming as opposed to awkward. A few people need a campground that gives protection where visitors concentrate individually plan. Maybe, they will be probably cooperative with nature or visit the neighborhood destinations on their schedule. Others like the social condition gave by numerous RV parks. They appreciate chatting with their neighbors and expanding their system of similar companions around the nation. These individuals visit the clubhouse and go to each social even the recreation center gives. Make a legitimate evaluation of precisely why you are heading off to a campground and look for one that is well on the way to satisfy those requirements. Contingent upon to what extent you mean to remain at a campground, and what exercises you intend to take part in, a clothing office might be an unquestionable requirement. While staying at a recreation center long haul, having the capacity to do clothing nearby is something other than a comfort. A decent office has more than one working washer and dryer onsite. Ideally, the machines are as often as possible adjusted to guarantee they don’t demolish your dress. An awesome office has no additional charge or is very close to the neighborhood Laundromat. You don’t need to pay additional for the comfort of washing nearby. When you have limited your decisions to maybe a couple, it is a smart thought to contact the recreation center through a telephone call. Verify that the data you have accumulated is right and avant-garde. For instance, here and there rates change with the seasons. Despite the fact that the site specified clothing as an administration, discover how much a normal load costs. If Wi-Fi is desirable, always ask if it is a paid service. Possibly discover somewhat about the encompassing zones, for example, what shops are adjacent or even neighborhood fuel costs. Regardless of whether it is only for an end of the week or a whole summer, finding an incredible campground to stop your RV can appear to be overwhelming. With these 11 contemplations, you can guarantee that your stay is agreeable and noteworthy for the correct reasons. If it’s not too much trouble share this with your companions and any relatives who go to enable them to maintain a strategic distance from the traps that can demolish a decent outing. They are certain to thank you for it. When it comes to replacing siding on an RV on the house, many people get stuck in the train of thought that they have to hire some big company to come out to do the job. While it may be convenient to do that, not everyone has that kind of cash simply lying around the house. The biggest expense of having a company replace everything is the labor itself. The materials might cost a couple of thousand dollars, but that would only be a small fraction of the total cost to have a company come out to do the work for you. You can, in fact, replace siding on an RV. First, you need to decide whether you are replacing all of it or just small sections. If everything appears to be in good shape and you just have a couple of pieces that are missing or broken, you can replace those without replacing everything. This, of course, would be the much cheaper route. However, if you have aluminum in your house, you will want to replace it all. To help cut down on your total expense for this update, you will want to take the aluminum to a scrap yard and cash it in. Depending on the amount of aluminum and the current pay out amounts, you could be looking at receiving a couple of hundred dollars up to a thousand dollars. This is a lot of money to get back. You can apply that directly to the purchase of your new siding. This way, the total cost of it all will be a little easier to handle. Also, you would be recycling which is a great thing all on its own. Before you start the job, you will want to make sure that you have everything you need as far as materials. You also want to make sure that you have another person working with you. Ladder climbing is going to be involved, and it is not safe to do this alone in case of an accident. Even if the person hanging around can do nothing more than keeping an eye out on you, that is better than being alone. You will also want to realize that this is not a one day job. Doing this yourself could take a week or two weeks depending on your skill and how quickly you move. Of course, you do not want to rush the job, but you also do not want to take forever as you leave half of your house exposed to the elements. You want to keep moving until the job is complete. Once it is all said and done you will look back and realize that it was not as hard as you first thought. You will have saved yourself an incredible amount of money, and you will be able to take pride in knowing that you did it yourself. Carpet enhances the attraction of your room, but you have to care for them if you want them to last long. Not caring for them or buying cheap carpets can lead to frequently changing your carpets and extra expenditure. When you look which someone have accidentally spilled the glass of water or even dropped the cigarette on which favorite carpets of yours, you may have got worried thinking how to set things right again. Even the horrible marks that your beloved puppy has etched on the carpet can be the cause of big trouble. However, you don’t need to lose sleep thinking how to replace carpeting in an RV. Follow a few easy tricks and perform some patchwork to give back your carpet its original look. If the damage to your carpeting is minor, you can only trim the pile. All that you will need to do is to cut the spoiled ends. Manicure scissors will help you perform this task sans problem. However, chop off carefully, or you will end up cutting a significant part of the good area. You may even replace carpet in an RV by trimming the damaged fibers till the backside of the rug. Many DIY-ers use replacement threads to fix their damaged carpets. You too can procure these fibers easily. Use those parts of the carpet that are less visible (like the part that lie beneath a cabinet or below some big furniture) to get the replacement fibers. Before you attach the replacement fibers to the carpet backing, apply a small amount of clear adhesive to the base of the former. Be careful while fixing the fibers or you will spill the glue and make the adjacent area of the carpet messy. If the damage to your carpeting is more severe or consists of a large sized stain, you have to replace carpet in an RV. According to experts, replacement pieces that resemble geometrical shapes like that of a triangle and circle are less prone to being detected as compared to rectangular and square pieces. You can cut the replacement piece of your preferred shape using your utility knife and fasten it to the damaged part using two-sided carpet-tape and an adhesive of high quality. So, don’t bid farewell to your spoiled carpeting. Instead, repair it using the steps as mentioned earlier. When to Replace Carpet in an RV. You need to consider replacing the car interior carpet of your automobile if it is old or has been neglected. Yes, you can clean the upholstery but a time comes when no amount of elbow grease is going to get those stains out. Your vehicle may smell a bit as well. If it does it is the time to pull that carpet up. You can change the car interior carpet yourself. You do not need any particular DIY skills to do it although it would be best if you had little knowledge. 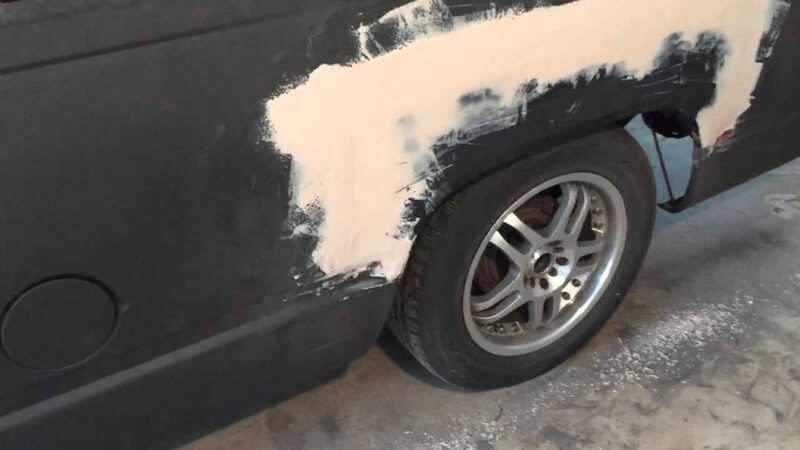 If you have never done anything like this before you may want to speak to your local auto repair shop and get a quote. It may be less expensive than you imagine and they will take a lot less time to do it then you will. Whether the carpet is easy to remove or not will depend on how it was initially laid. If it was bonded with glue or similar adhesive it may be difficult to remove. Some manufacturers didn’t use glue, so it is easier to remove the upholstery in these automobiles. If you can remove the seats, do so as it will make fitting the new flooring so much easier. When you have installed the new carpet, keep it in top condition with regular cleaning. Invest in some foot mats as well so that you don’t have a buildup of the day to day dirt. Vacuum on a regular basis and every so often gives it a good wash with a rug detergent. If you spill something clean it as soon as possible, otherwise the stain will set making it harder to get rid of. When buying your new carpet, choose a high quality car interior carpet as they will last longer and also cause less electricity in the automobile. Before embarking on the project of replacing your window in an RV, there are a few things you should make sure you are clear on. Which include the following: You must have a clear budget in mind and make sure you stick to your guns, do not waiver or compromise: perform the necessary research you need on different contracting companies if you intend on using that route; at least have details of no less than three separate quotations: when you are doing your research you should request free in house estimates; avoid by all means making decisions on the spot; give yourself at least two days to look over the different the quotations from the companies; pick one and then clearly state how you want your replacement window installed and find out on their warranty policy and if there are any deals relating to tax credit when installing new energy efficient windows. How to Replace A Window in an RV? Well, you can as mentioned earlier go with the do it yourself method. This is an option with the advantage of saving you a substantial amount of money. But then there is the opportunity cost that also has to be factored in. You can expect to take about roughly four to six hours to install a window of average size on the ground floor (note time increases exponentially if it’s not being installed on the first floor). Money spent on this project can be estimated to be between $500.00 to $600.00. If you are for instance putting in a high performance 36 by 54-inch wood insert replacement window. The project may not be rocket science, but it’s no child’s play either: it requires at least an average amount of carpentry expertise and remodeling homes experience, the installation process is made relatively easier if the window being installed is on the ground making it readily available from the outside of the house. But there is the issue that if you go on about this tasks yourself without the assistance of a professional contractor, you will end up with an average looking job. Though it may seem like you would have saved money, in true essence, in the long run, it is not worth it. There is too much unnecessary stress arising from frustration which is noted by most who take the do it yourself route. The is also time consumed doing this task, especially if the window is not on the ground floor and back and forth movement due to the window not being the right size; which is one of the many problems noted by reviewers who have tried this before and the is the risk of applying to much-expanding form which will move the frame in the long run. 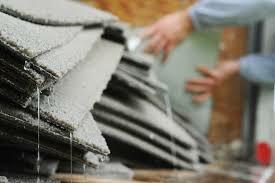 With the above in mind, I would recommend that you hire the services of a contractor. A contracting company that has received good ratings and reviews, that knows very well how to replace a window. The amount you save in the long run dwarfs that you will spend doing the job yourself. There is also the feeling you will get when you see the perfectly installed window… priceless. I hope you will seek the assistance of a professional contracting company on how to replace a window. You can read more on the additional information section of this publication on what you need to know when looking for a contracting company that is reliable. • You can use the do it yourself method when you want to replace a window though it is not recommended. • You can expect you do it yourself project to take roughly four to six hours and cost around $500.00 to $600.00. • Though you may save money doing it yourself, the cost, in the long run, is not worth it. • Employ the services of a contractor to save you time, money and a lot of stress. When looking for a window contractor or replacement windows company make sure that you use word of mouth as your basis of the search. Ask around friends, family, and people in your immediate circle for references on people who conducted the job for them. Make a request for a portfolio and ask for references, make sure your contractor possesses diverse experiences and ensure that they are well aware of all safety precautions.